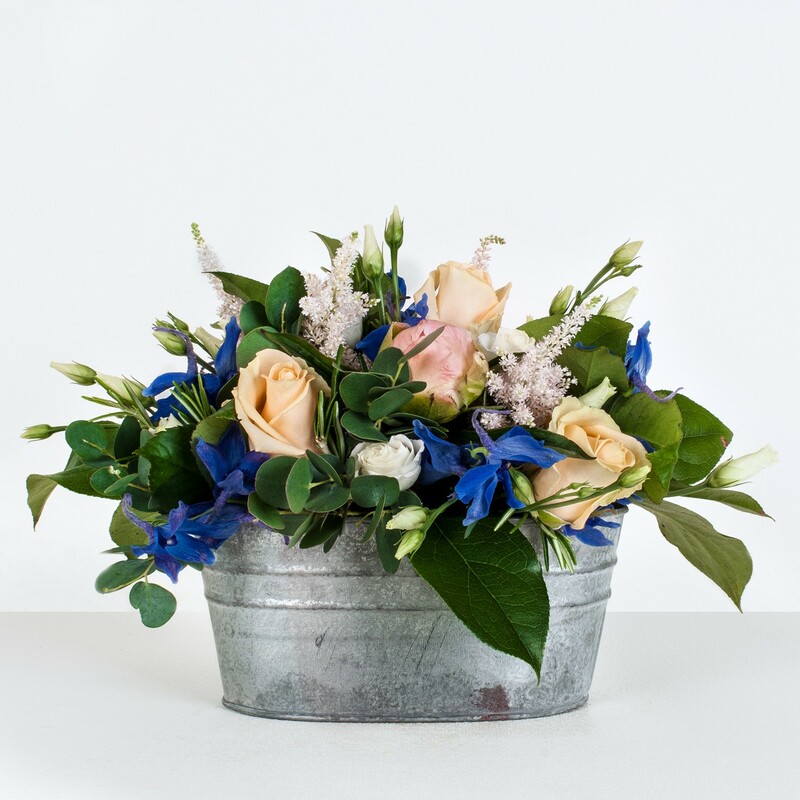 Presented in a rustic metal planter, it is an ideal way to bring a pop of vibrant colour and freshness to any room, or is equally lovely arranged on a patio or porch. The peachy hues of beautiful English roses set the tone for an arrangement that is both stylish and fun, and the eye is drawn to the gorgeous blue delphiniums that have a real rural charm. Crisp white lisianthus and the tiny star shaped petals from astilbe flowers further evokes a country cottage garden, and a final spray of silver eucalyptus completes the look.